Purchasing a commercial property is an accomplishment that you now have under your belt, so now the next step is to put a tenant in commercial property that you have purchased. Before you begin to look for a tenant, you have to think about what lease terms are available to you. These lease terms can range from single net lease to double net leases to triple net leases. Not only do you have to do this research, you then have to decide what lease terms will be best for you and your property. Gathering all the information about the many different options you have available to you is going to prepare you to make the best decision for your commercial property. One option that is worth considering and researching is a single net lease. What is a Single Net Lease? A single net lease is when the tenant of your commercial property has agreed to pay one of the operating expenses. This operating expense is usually the property taxes. In this case, the tenant will pay you the agreed upon rent and also the property taxes for the space or building. A single net lease also means that there is less risk on the tenant, as they are only responsible for the rent and the property taxes. In turn, while the landlord will have other operating expenses that they are responsible for, the tenant agrees to take over this one expense. That means that this becomes fully the tenant’s responsibility. Even with this responsibility being on the tenant, landlords tend to prefer that the payment of the property taxes still go through them. This way the landlord knows that the correct amount is being paid and that it is being paid on time. When it comes to commercial properties, the single net lease is not always the first choice from the point of view of a passive landlord. A passive landlord would prefer to have a triple net lease in place so they can be completely hands off. All the responsibilities for the building would fall on the tenants. As this is not ideal for the tenant, the landlord must be flexible and be able to negotiate terms. Generally, the single net lease is chosen as a compromise between the landlord and the tenant. If a single net lease has been agreed upon by both parties, the landlord may find this an easier option for them in the long run. This means that if the landlord wants to purchase and rent out more commercial properties in other locations, they have that option. With the single net lease, the landlord would not have to worry about the property taxes that are specific to each area in which the commercial properties are located. The tenant is responsible for keeping up with this and the landlord can be responsible for other expenses that may arise, such as maintenance, insurance premiums, and utilities. Maintenance jobs are easy for a landlord to contract out to companies that are in the location of the properties owned. As you can see, there are advantages and disadvantages associated with entering into a single net lease with your tenants. 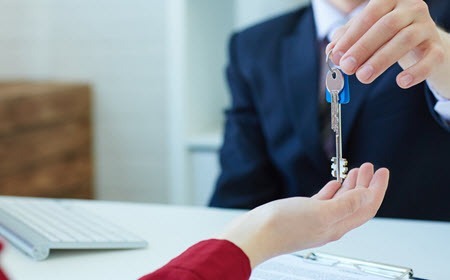 Having all the information, both positive and negative, will help you to make an informed decision about what type of lease is best for you to have with your tenants. It may take a lot of your time, but as a commercial property owner, you want to gather all the information you can about the lease options that are available. This will prepare you for a successful relationship with anyone or any company that rents a space from your property. Even if you do not proceed with a single net lease with your first tenants, you never know when you will enter into one in the future. Doing your due diligence and looking at what a single net lease has to offer will save you valuable time when you do use these lease terms in the future. If you do decide to set up a single term lease with your tenants, then this general information will help you have a basis to go off of when understanding all that this lease entails and has to offer.